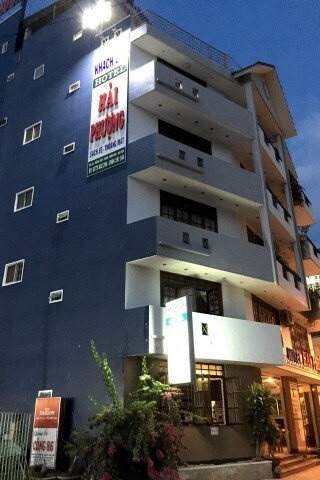 Located right beside Gia Phuc Guesthouse, Hai Phuong is a small step up from its neighbour in terms of amenities. Comparing the two, rooms at Hai Phuong are more spacious and come with a fridge, minibar, vanity and a clothes rack. Bathrooms are also bigger, an important fact for larger folk. But otherwise both hotels have flatscreen TV, WiFi, air-con, balcony and clean wetroom-style bathroom. Rooms at the front even get a view of the river. As a backpacker or flashpacker, you can’t go wrong with either. Hai Phuong Hotel is close to the river, one street behind River Hotel.